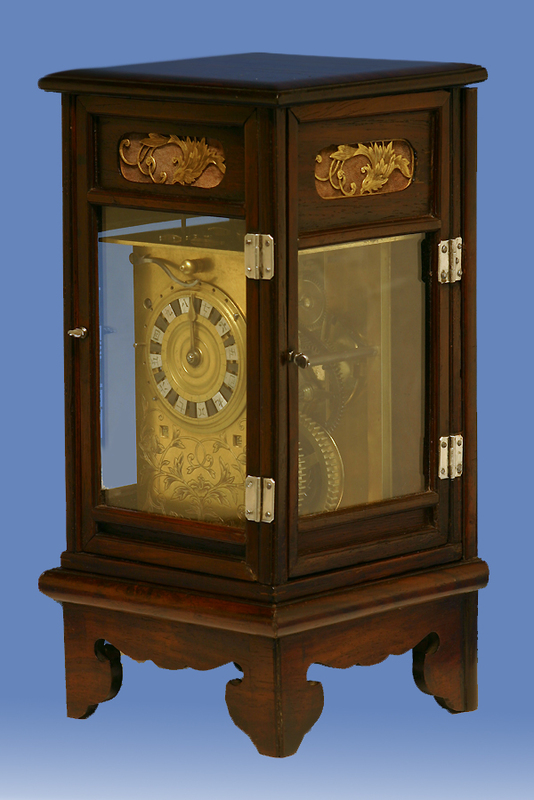 Early 19th Century Japanese Striking Lantern Clock. 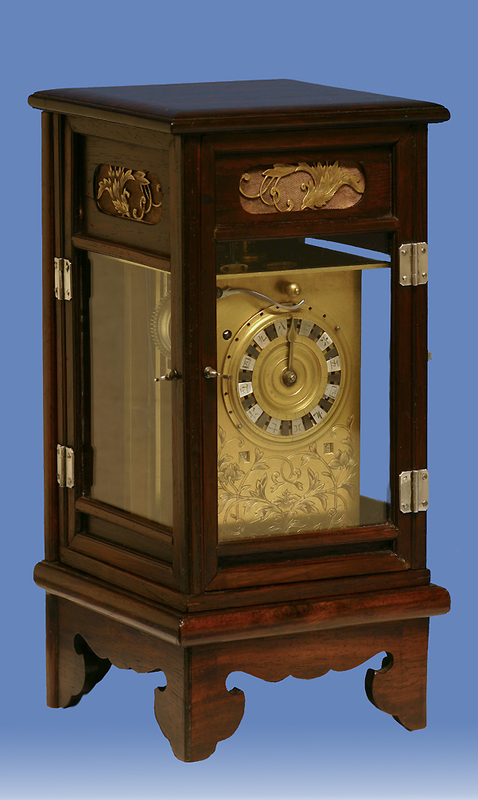 A very rare late-Edo period Japanese striking lantern clock or Yagura-Dokei with a silk-thread suspension housed in the original glazed shitan wood case with silver hardware. 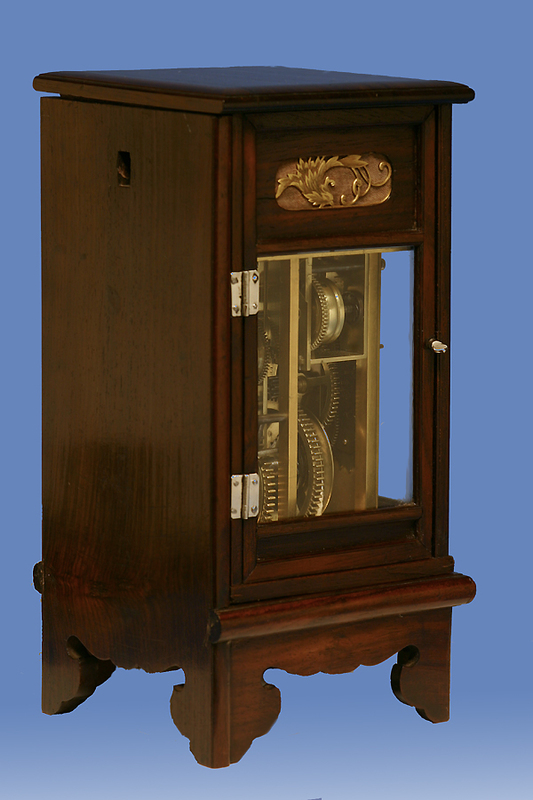 The wall-hung wooden display case has a lift off hood with three glazed doors, solid silver hinges and latches and finely pierced and engraved fabric backed ormolu frets. 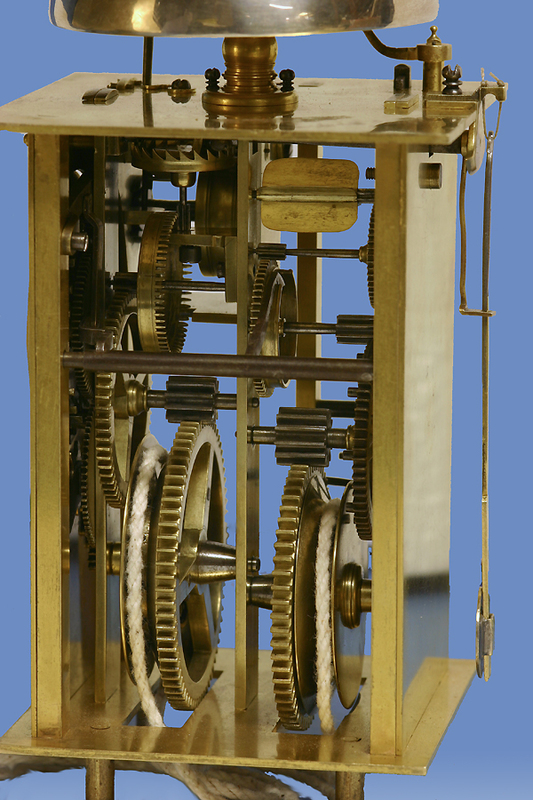 The superb multi-day weight-driven movement has beautifully turned posts and wheel work, the original weights suspended by wooden pulleys on an endless cord and a crownwheel escapement with an adjustable pendulum suspended by silk-thread. 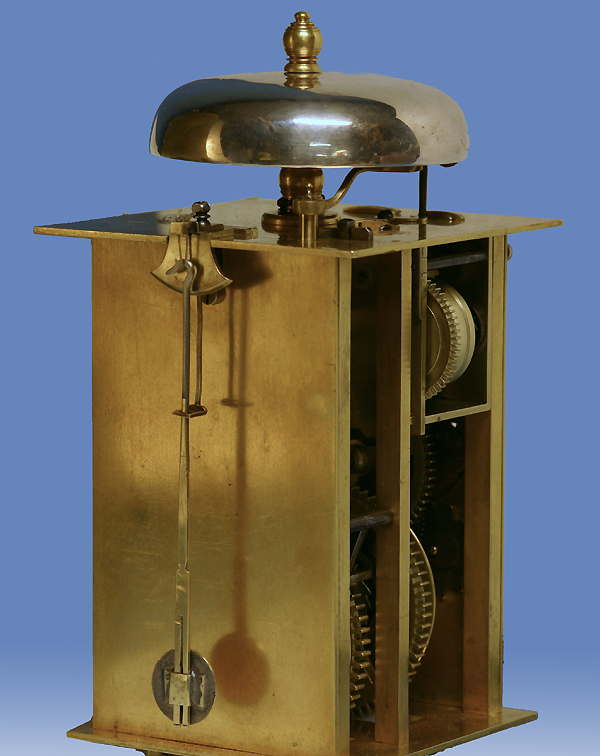 It strikes at the hours, 9-4, and at the half-hours, 2 or 1, by a torsioned steel hammer on a bell mounted above. 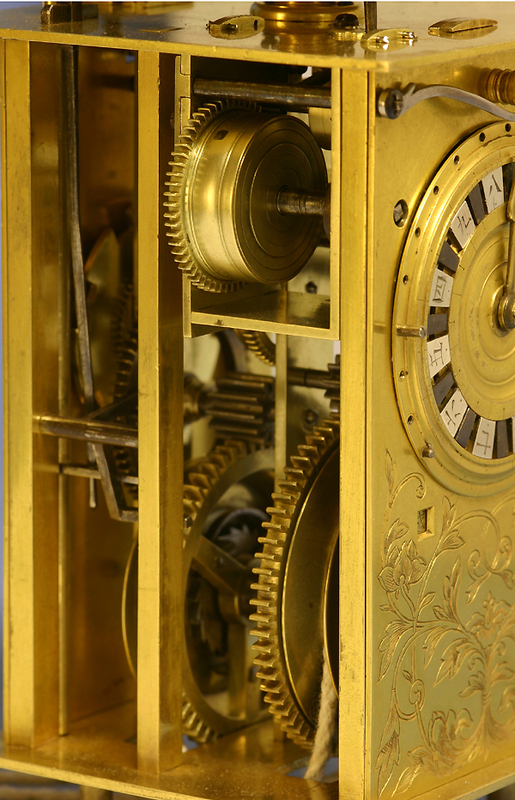 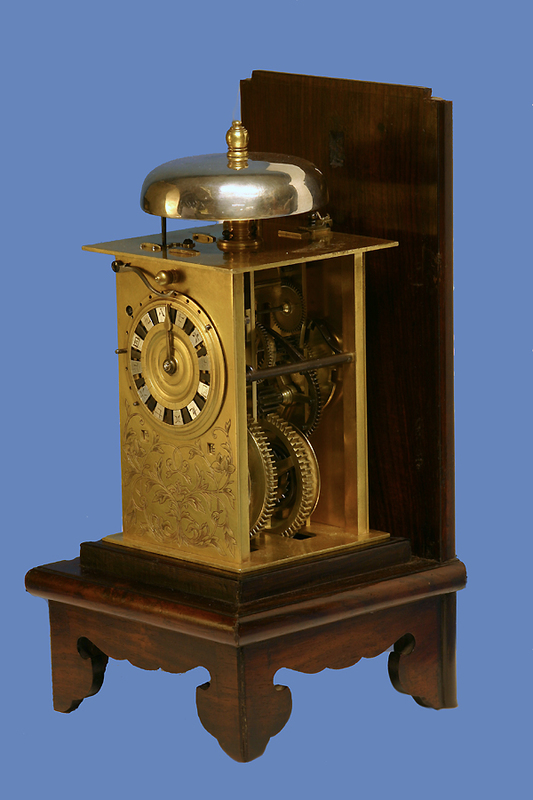 This clock is extremely unusual because of both the silk-thread suspension and the silver hardware. 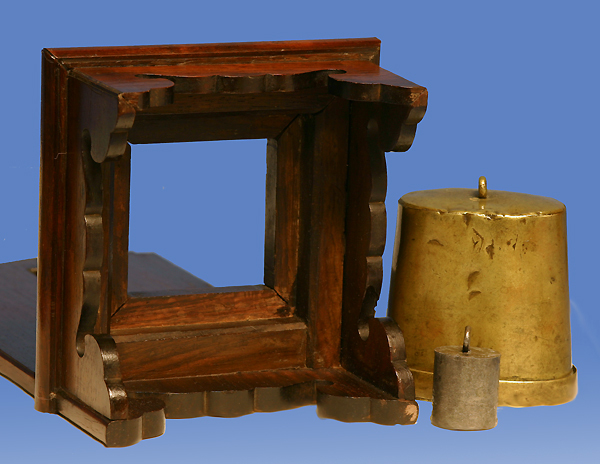 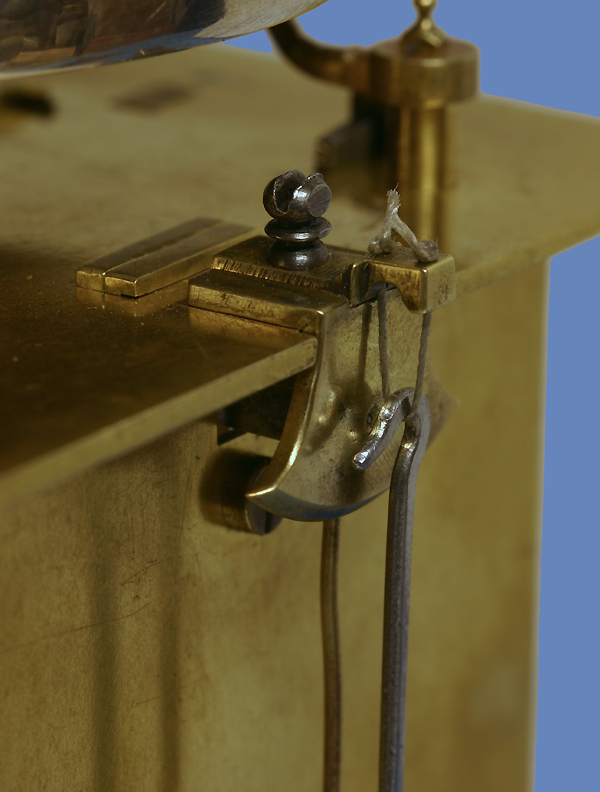 Traditionally lantern clocks either had folliot, balance wheel or pendulum regulators with the pendulums mounted directly to the pallet arbors. 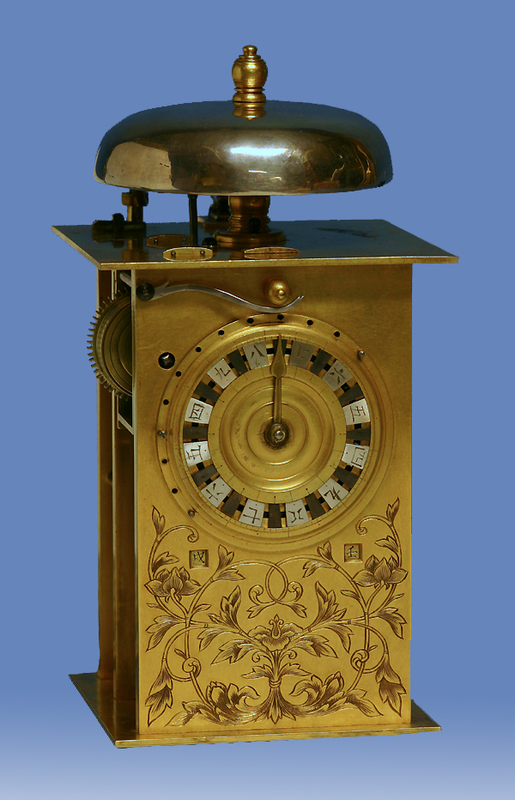 It is the only example we have seen that deviates from the norm and uses a silk thread as a suspension – much like early French clocks.